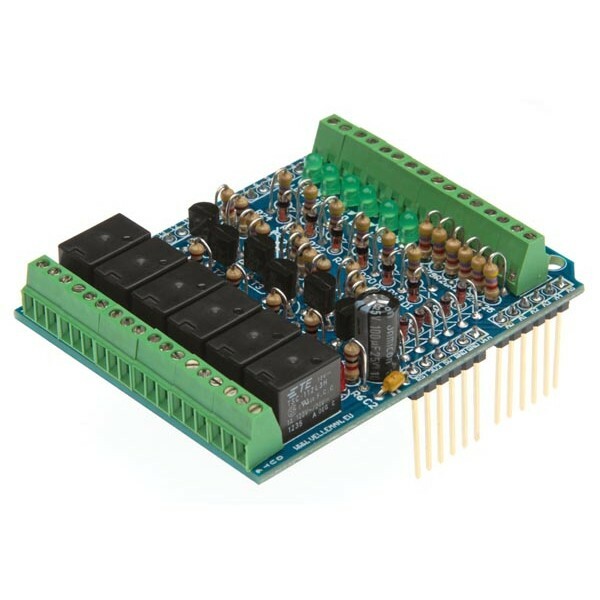 The Velleman I/O Shield is an Electronic Kit that extends the general purpose input and output abilities of your Arduino microcontroller. 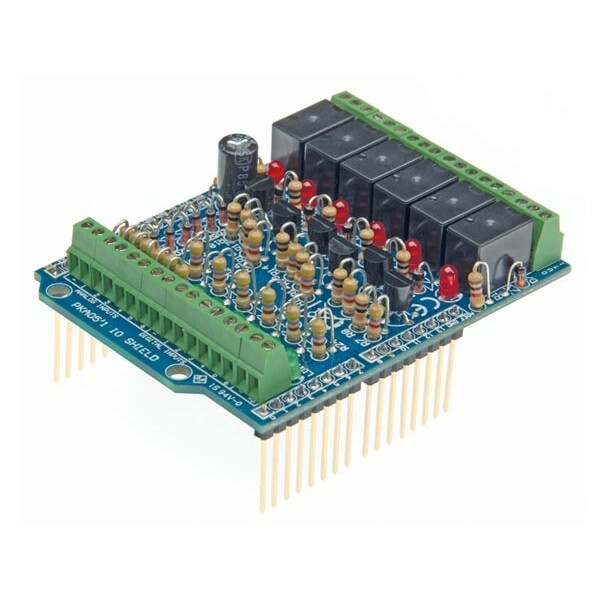 This versatile shield provides 6 relays which can switch up to 12 V at 1 A. 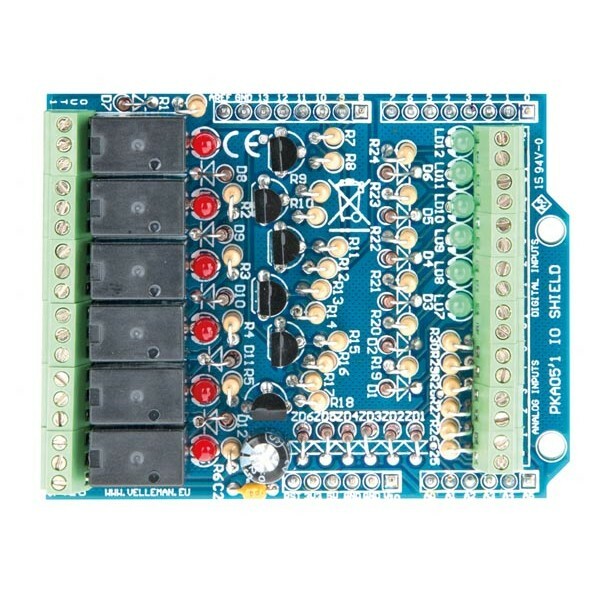 It provides screw terminals for 6 digital and 6 analog inputs. A set of LED indicators provide the state of the digital inputs and relay outputs.